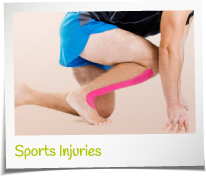 Foot, ankle, knee & hip pain. The highest standards of Osteopathic treatment. Promoting health and wellbeing for the whole family. Gentle treatment for patients of all ages; from babies to more mature adults. We are trained to the highest standards, are fully registered and regulated by the General Osteopathic Council. Feel relaxed, comfortable and welcomed with professionals who will help you to understand your condition and how we can help. 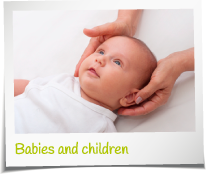 Cranial Osteopathy is used to gently relieve tensions and strains within the baby or child’s head and body. When treating me I found the Osteopath at Cheadle Osteopathy to be very professional and extremely knowledgeable. There was an excellent patient – Osteopath relationship. I would not hesitate to return for more treatment and would recommend them to anyone. James didn’t sleep well from birth and would wake up to seven times a night, crying for long periods. I took him for cranial osteopathy treatment when he was 18 months old. Within six weeks he was sleeping through the night – and still is! 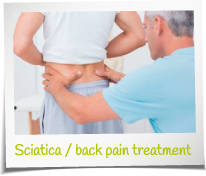 I was treated at Cheadle Osteopathy several times. They were incredibly nice people and extremely professional, exactly what you want. The treatment was top notch and so was the advice on how to stop problems re-occurring. I have been a patient for a number of years. As a direct result of treatment and advice my posture has improved dramatically, as has my sense of wellbeing. I would highly recommend the clinic to anyone. Apart from their expertise they have a really nice manner that makes you feel very comfortable. Our clinic is based in Cheadle, easily accessible for patients traveling from Cheadle Village, Cheadle Hulme and Cheadle Heath, Stockport, Gatley, Heald Green, Bramhall, South Manchester (Didsbury, Chorlton, Sale), North Manchester (Swinton, Ashton under Lyme), the Heatons, Prestwich, wider Cheshire (Hale, Alderly Edge, Knutsford, Macclesfield, Wilmslow) and even into north Derbyshire (Disley).